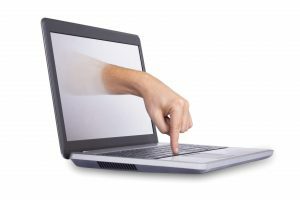 LogMeIn alternatives vs RemoteToPC - best LogMeIn alternative? 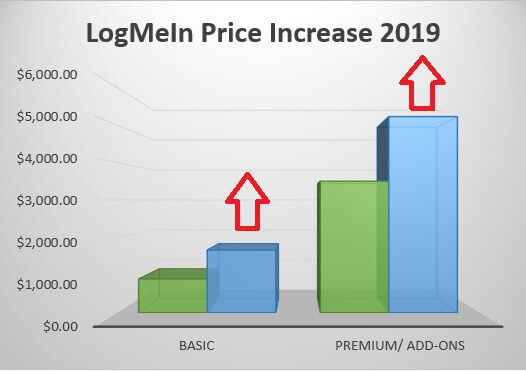 LogMeIn Central pricing has changed from its long-held pricing three tier structure of LogMeIn Basic, LogMeIn Plus, and LogMeIn Premier to a single base product which is roughly twice the price of its former Basic level of service. Formerly 100 LogMeIn Central Basic computers annual subscription cost was $899.99/yr. Currently for 100 computers under their “Base Plan” the subscription cost is $1668.00/yr. Nearly double their former pricing. 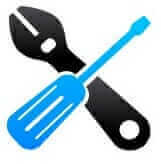 The Security add-on includes features like: Patch management, Windows Updates, Antivirus Management. 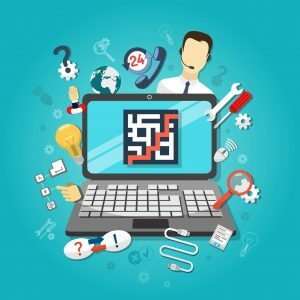 The Automation add-on includes their One2Many Task Management, PowerShell Scripting, and Automated Actions. The Insight add-on includes things like Asset Inventory, Custom Reporting, and Critical System Alerts. 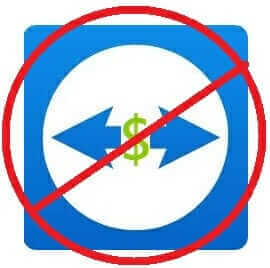 Each LogMeIn add-on comes with added cost. For a 100-computer base plan, the Security add-on would add an additional $1236/yr. The Automation add-on would also be an additional $1236/yr., and the Insight add-on would add an additional $1080/yr. So, if you needed some of the features in each of these different add-ons for your hypothetical 100 computer situation, the annual subscription cost to you for those 100 computers would be: $5220/yr. This is a significant increase over the previous pricing structure, where for those same 100 computers you would have paid: $899.99/yr. (Central Basic), $1999.99/yr. (Central Plus) or $3499.99/yr. (Central Premier). It’s just another LogMeIn price increase. 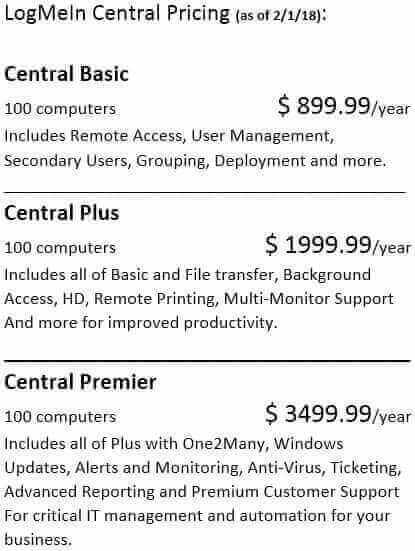 However you look at it, this is a massive price increase for LogMeIn Central users. If you chose to only have the base Central plan for 100 computers, the price increases this year is 85% more. If you choose all the add-on options the price increase for you over Central Premier is an additional 49%. RemoteToPC is a great LogMeIn replacement. Of course, if you chose to LogMeOut of LogMeIn, and go with RemoteToPC, depending on how you look at it, you would be paying 82% to 94% less for our 100 computer plan, which is only $299/yr. 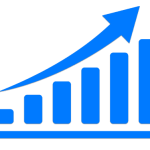 We haven’t changed our prices since 2015, and RemoteToPC comes with some of the features that LogMeIn only includes in their add-ons like Monitoring and Alerts. 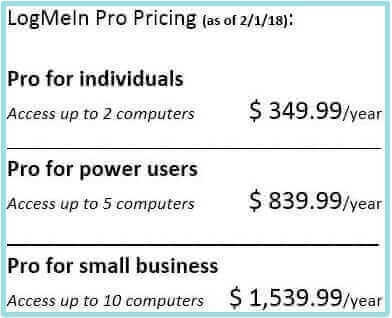 The pricing of LogMeIn Pro only increased very slightly, so this latest price increase is essentially a blow to a typical IT management user of LogMeIn Central. 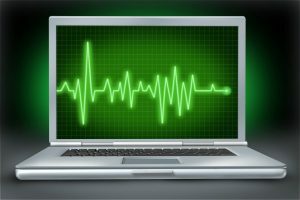 Managed Service Providers, IT consultants, and in-house IT staff will need to consider if continuing on with LogMeIn is worth the increase, or if a LogMeIn central alternative like RemoteToPC is worth switching to. If not now, then how much of a price increase will finally be enough to move on? All RemoteToPC plans come with a free 14-day trial, and you can cancel yourself at any time during that trial period for any reason. Our plan sizes start at $99/yr. for 10 remote computers, and go up to 10,000 remote systems or more. 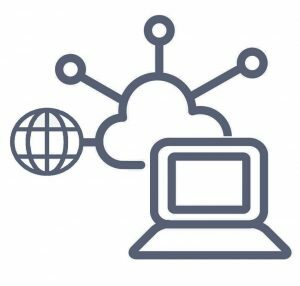 While RemoteToPC supports remote access to any type of customer, we specialize in remote access for IT support, which is why we say: RemoteToPC is made by IT people for IT people.